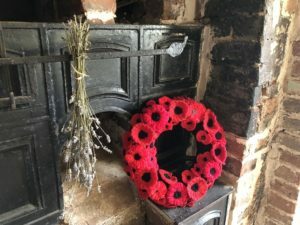 And so, November draws to a close, a month that has been filled with reflection and remembrance, one hundred years after the Armistice of 1918. 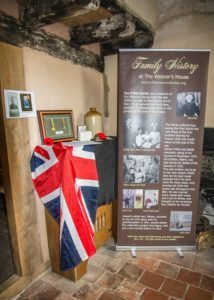 At The Weaver’s House, we marked the centenary with a special event of particular relevance to the house. 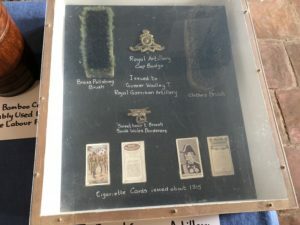 During the First World War, the O’Neil family were residents in the house. 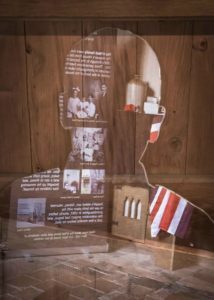 Three of the O’Neil boys went away to war, and only one returned. 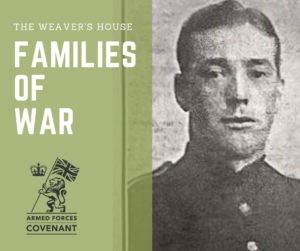 For this special event on November 3, The Weaver’s House was awarded two There But Not There silhouettes funded by the Armed Forces Covenant Fund Trust. 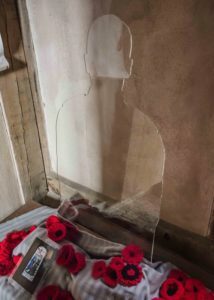 The silhouettes represent people lost to conflict. Our silhouettes were placed in the house itself, where the O’Neil boys lived one hundred years ago. 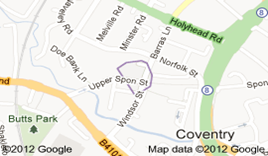 Descendants of the O’Neils: Clare Chamberlain, Paul Nolan, Debra Morris and Eve Morris. 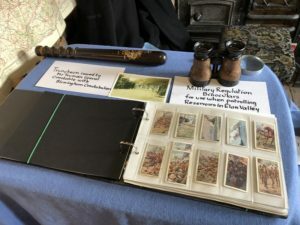 One of our regular volunteers, Clare, is a descendant of the O’ Neils and as part of the day she presented a free family history talk including their war story. 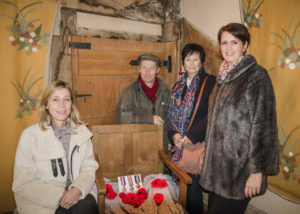 We were also pleased to welcome Coventry-based actor and playwright, Paul Nolan, another descendant of the O’Neils. 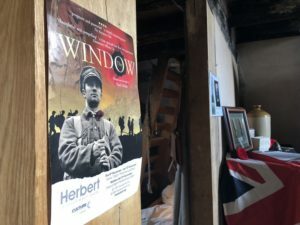 Paul’s play The Window tells the WWI story of the O’Neils and has been on tour this year, you can find out more here. 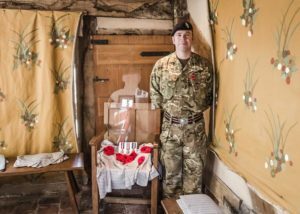 Sergeant Phil Edis of Coventry R.E.M.E. 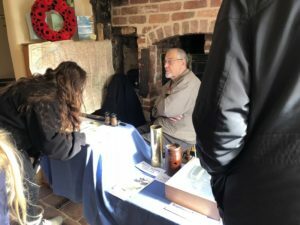 (Royal Electrical Mechanical Engineers) was in attendance to represent the role of the Armed Forces in our community today, and we thank him for spending time with us and our visitors on the day. 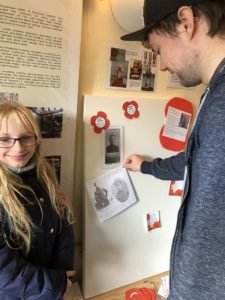 During the open day, we had a memory board which we invited visitors to add to, in remembrance of family members lost to war. 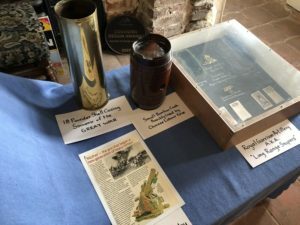 We also had a collection of First World War artefacts brought in by volunteer Brian, and another display of objects collected by Clare. 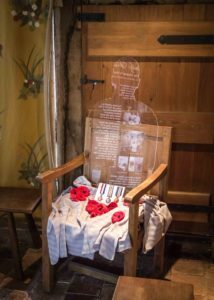 The Weavers’ Workshop, who meet at the house every week, had added a special and fitting touch with woven poppies which accompanied the There But Not There silhouettes. 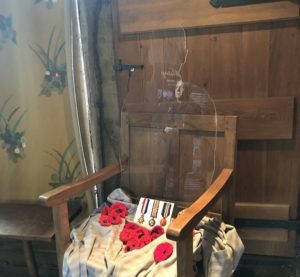 Thanks to all who took part in the day, whether volunteers, visitors or other contributors, and of course to the Armed Forces Covenant Trust for awarding us the grant for the silhouettes.